Len Jacoby, Founder of Jacoby & Meyers Law Offices and President of Jacoby & Meyers Legal Network, Inc.
Len Jacoby, with partner Stephen Meyers, founded Jacoby & Meyers in 1972 with the intention of making the legal system more accessible to the average person. He previously had been in general practice and a corporate counsel in Los Angeles. He has lectured extensively on the delivery of legal services, and, in his role as the firm’s chief advertising creative director and writer, Jacoby has won numerous awards for advertising excellence, including the prestigious CLIO. The revolutionary Jacoby & Meyers concept was based on handling a large volume of cases out of neighborhood offices in many different states and jurisdictions. To accomplish this, there had to be a different way to process cases and operate the business. Jacoby created the systems and procedures necessary to do this, leading the way to the implementation of the systems approach to the practice of law, which has been adopted by most law firms in the country. In the mid-1970’s, Jacoby founded and was president of Practical Law Courses, Inc. PLC was a continuing education provider dedicated to teaching young lawyers the practical aspects of practicing law and introducing them, and other lawyers who wanted to expand their areas of expertise, to the Jacoby & Meyers systems. In 1977, after winning the right to inform the public about its services, Jacoby & Meyers began a rapid period of growth. As senior partner and COO, Len was responsible for the expansion, for new market and systems development, office operations, quality control, training, and the creation and production of the firm’s advertising. By 1994, the firm had become primarily focused on Personal Injury and other cases involving victims’ rights, and the neighborhood branch offices were spun off to the attorneys who were managing them. In order to continue to provide people with a resource for finding the right lawyer near them for their kind of case, Len created Jacoby & Meyers Legal Network, Inc. in Southern California. The Network is comprised of independent lawyers specializing in personal injury, workers’ compensation, family law, criminal defense, probate, estate planning, and other personal legal matters. 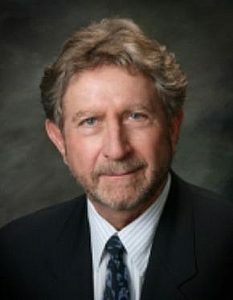 Len also founded Jacoby & Meyers Law Offices of Southern California, primarily to network with high quality law firms specializing in mass tort, class action and niche cases, such as drug and other product recalls, bad faith insurance, elder abuse, wage & hour, medical mistakes, aircraft accidents, and consumer fraud. First Chairman and CEO of Taxpayers Against Fraud, an organization that supports the Federal False Claims Act and litigation against individuals and entities that cheat the government, such as doctors and hospitals who file false Medicare claims, and defense contractors who pad expense accounts or substitute lesser quality materials on government contracts. Founding Board member and member of the Executive and Production Committees of Education 1st!, a group of individuals involved in the entertainment industry and the media who use the media to increase public awareness of the problems in public education in America. Member of the Advisory Council of Bet Tzedek, which provides free legal services to the poor and elderly in Los Angeles. Board member, CFO and Secretary of The Consumer Protection Fund, and Board member of The Consumer Support and Education Fund, two social welfare organizations that make grants to organizations involved in activities of benefit to consumers. Len is married to Nancy Platt Jacoby, executive producer of television news and reality programming, and CEO of NPJ Greeting Cards. Len and Nancy have a son and three daughters. Tom is president of an investigative services company. Sharre is senior producer of the largest theatrical marketing and creative services company in Los Angeles. Laurie is a story editor for prime time network television and Lindsey is a broadcast journalist and anchorwoman. Len attended UC Berkeley and UCLA and graduated with honors in 1964. He received his Juris Doctor degree from UCLA Law School in 1967. Contact Len Jacoby Personal Injury Attorney in Los Angeles today for a free initial consultation.